This special event should not be missed! Hosted by Jonny Lee Miller, from the hit TV series Elementary & Kristine Johnson, WCBS News anchor, we will be mixing our two favorite things: Friends+Cocktails. What a way to find a CURE! Held at The Heath at the McKittrick Hotel, home of “Sleep No More“. Go ahead and take some time to check out this interesting location. Live art work being done before your very eyes by artist Joanna Ricou, who takes inspiration from Neuro Science. This very special, one of a kind piece will be auctioned off by the end of the night. New York native and must have DJ Cash will be setting the tone for a night to remember. 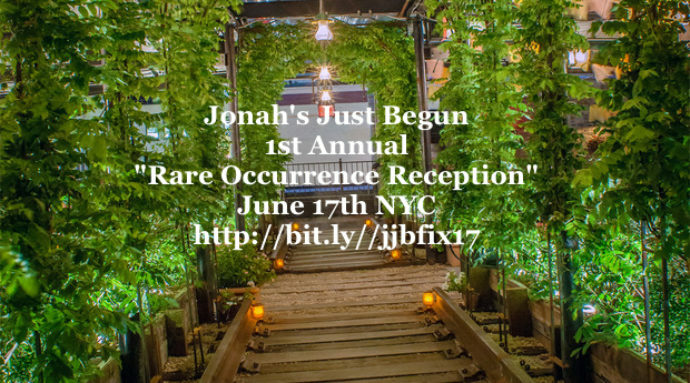 You MUST RSVP by June 15th or you will miss out on this rare opportunity! If you have any questions contact Mari@jonahsjustbegun.org.